Click here to view 2017 emails. A New Year Devotional, A New Institute Class, and a FamilySearch Experience—The January 2019 Worldwide Devotional for Young Adults sets the tone for a new institute class and Church history experiences. Join Us for an Evening with a General Authority—Elder Ronald A. Rasband will speak February 8, 2019, at 6:00 p.m. mountain standard time. I Remember the Gifts of God—This Christmas season, see how God has a way of personalizing His gifts to His children. They are exactly what we need, when we need them. Grateful for Our Lot—It is often within the diversity of our circumstances, even the difficult ones, that we recognize the loving hand of our Father in Heaven most clearly. Gratitude Beyond Our Own Blessings—We can rejoice with others as they receive blessings. Remember Him and #LightTheWorld in Seminary—See how you and your seminary class can #LightTheWorld this December. Remember Him and #LightTheWorld in Institute—See how you and your institute class can #LightTheWorld this December. Discover the Classroom Speedometer—The Learning Assessment Software provides important information like a speedometer. Blessed Is He That Keepeth My Commandments—We are blessed as we remain faithful through trials, being steadfastly obedient to God’s commandments. Did You Miss the Worldwide Devotional: A Face to Face Event?—Watch Elder Quentin L. Cook and two Church historians answer questions and discuss topics from Church history and Saints. Important Teacher Notice—Use this new classroom help to engage your students in their Church history studies. Be Prepared for Any Question—Use newly compiled resources to help answer your students’ doctrinal, historical, and social questions. CES Virtual College Admissions Fair—Students can register for a free online college admissions fair to learn more about attending CES schools including BYU, BYU-Idaho, BYU-Hawaii, BYU-Pathway, and LDS Business College. Take Note: A New Resource to Record Impressions—Help your students make the most of general conference this October with a new printable notebook. Explore Our History Through the Saints Readathon—Institute students are welcome to join the #Saintsathon in preparation for the Worldwide Devotional for Young Adults with Elder Quentin L. Cook of the Quorum of the Twelve Apostles. Fly Into Your Next Assessment with a New Pilot Program—Better understand your students’ needs and discover new features and assessments in the Learning Assessment software. Building a Strong Foundation—Students can find their own testimonies by seeking truth, trusting the Lord, acting on spiritual promptings, and being guided by spiritual leaders. Elder Quentin L. Cook will speak to Young Adults Worldwide—See the Worldwide Devotional: A Face-to-Face broadcast from Nauvoo, IL, on September 9, 2018, at 6:00 p.m. MDT. Are Your Youth a Part of the Battalion?—Be sure to share the messages from President and Sister Nelson’s Worldwide Devotional for Youth. Couldn’t Watch the Annual Training Broadcast?—Discover the messages Elder and Sister Renlund, Elder Clark, and Brother Webb want you to know. Every Story Has a Beginning—Find our shared story in Saints: a new history of the Church. Going to Teach Doctrinal Mastery?—Here are a few changes to the Doctrinal Mastery lessons. Did You Miss the Worldwide Devotional with Elder and Sister Kearon?—Watch these inspiring addresses on your infinite worth and how ministering blesses everyone. How Doctrinal Mastery Enhances Mastery of the Scriptures—Explore how Doctrinal Mastery gets students deeper into scriptures and doctrinal principles. A Resource to Enhance Class Learning and Application—Discover a new help for teachers in the classroom. “A Unique and Singular Opportunity” for Youth—President and Sister Nelson will speak to the youth Sunday, June 3rd at 6 p.m. MDT. 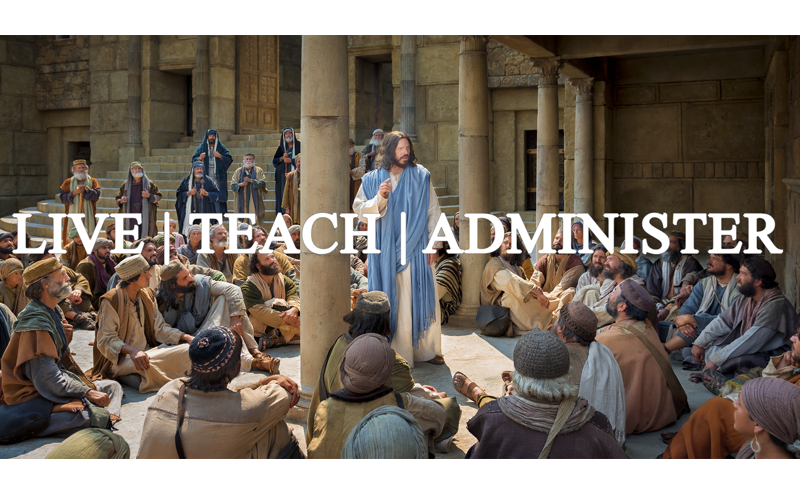 Social Media Spotlight—From prayer and the Book of Mormon to power that comes from the temple, find new social media content to share in your seminary and institute classes. Did You Miss the Evening with a General Authority?—Elder Christofferson spoke about defending truth on January 26, 2018. Elder Patrick Kearon to Speak in Worldwide Devotional—Members and friends ages 18–30 are invited to watch on May 6, 2018. Take Note: New Resource to Record Impressions—Help your students make the most of general conference this April with a new printable notebook. Explore Social Media Channels for Youth and Young Adults—Do your students know about the LDS Church Snapchat and LDS Youth Instagram channels? Discover ways to highlight social media in the classroom. Did You Miss the Worldwide Devotional?—Elder and Sister Uchtdorf spoke about the adventure of mortality. New Videos for Doctrinal Mastery—Explore updated resources to help students apply Doctrinal Mastery. Hitting the Target through Assessments—Help students deepen their conversion through learning assessments. See and Hear the One—Discover how effective listening can help you See the One.